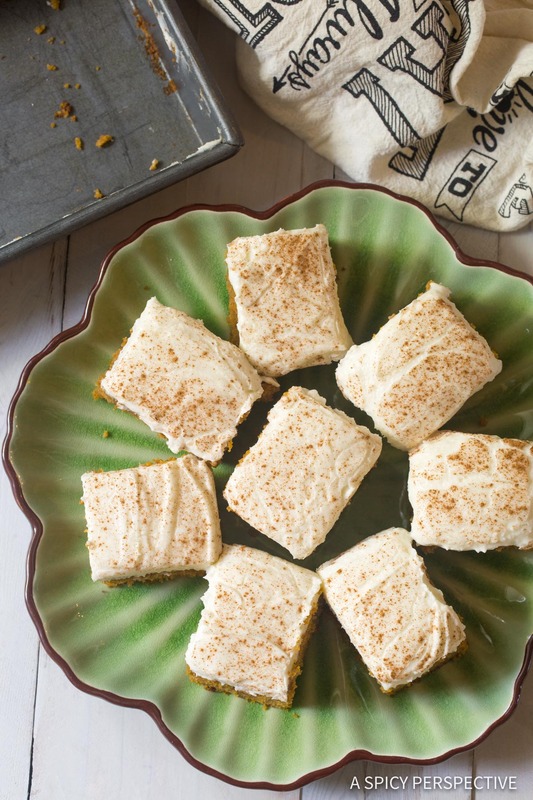 Pumpkin Texas Sheet Cake with Buttermilk Frosting – A casual treat for holiday gatherings with alluring fall flavors! Say hello to your new favorite pumpkin dessert! 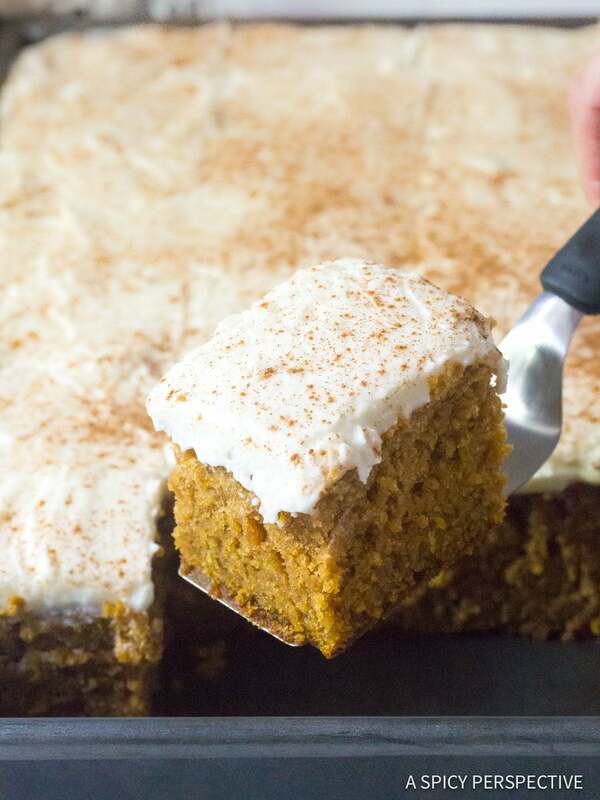 This ultra moist Pumpkin Texas Sheet Cake with Buttermilk Frosting is simple to make, feeds a crowd, and offers the dazzling combination of pumpkin, cinnamon, nutmeg, and buttermilk. Every year as Thanksgiving approaches we receive requests from reader (you guys!) for alternative desserts to classic pumpkin pie. Some of you don’t love the texture of pumpkin pie. Some of you get bored with pumpkin pie. And still, some of you just don’t like making pie crusts. For those of you in shock over this response to classic pumpkin pie, this is the recipe I personally love. You should try it this year. 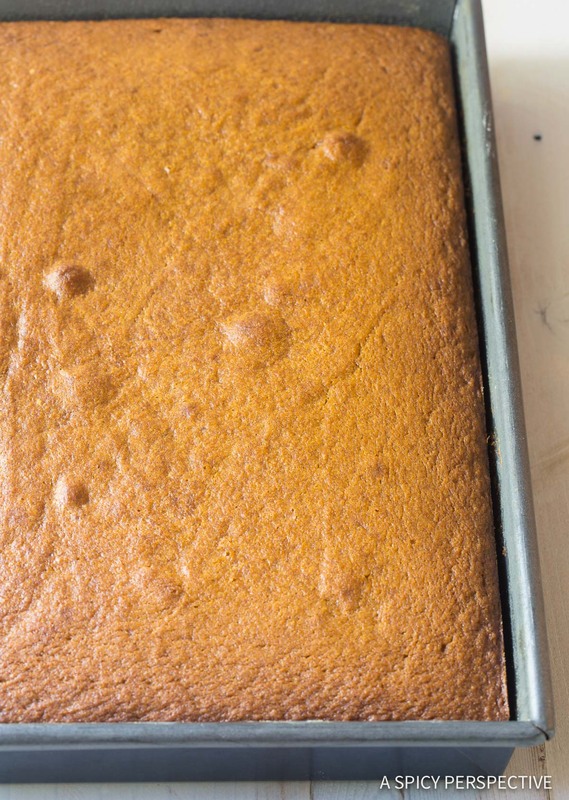 For the rest of you… Let’s make pumpkin spice cake instead. 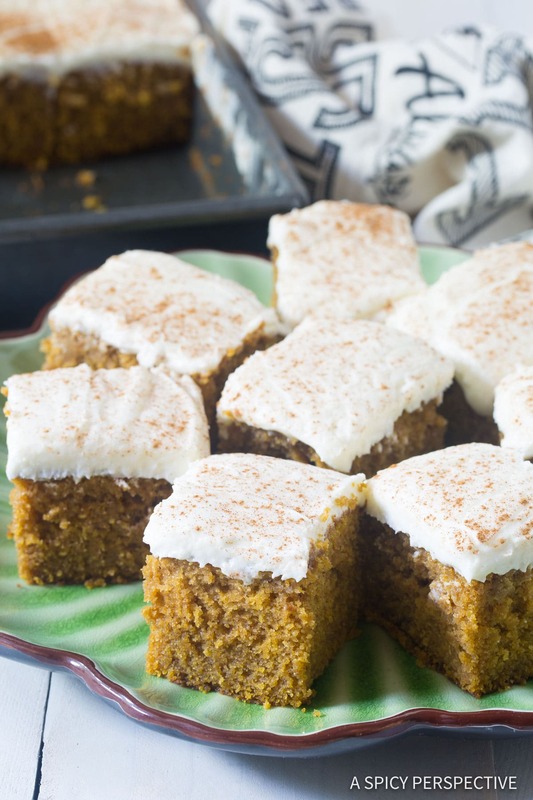 Today’s recipe for Pumpkin Texas Sheet Cake with Buttermilk Frosting is perfectly spiced, fluffy, tender, and covered with a loose tangy-sweet buttermilk frosting. The twang of the buttermilk offers perky balance to the sweetness of the cake with its deep autumn flavors. 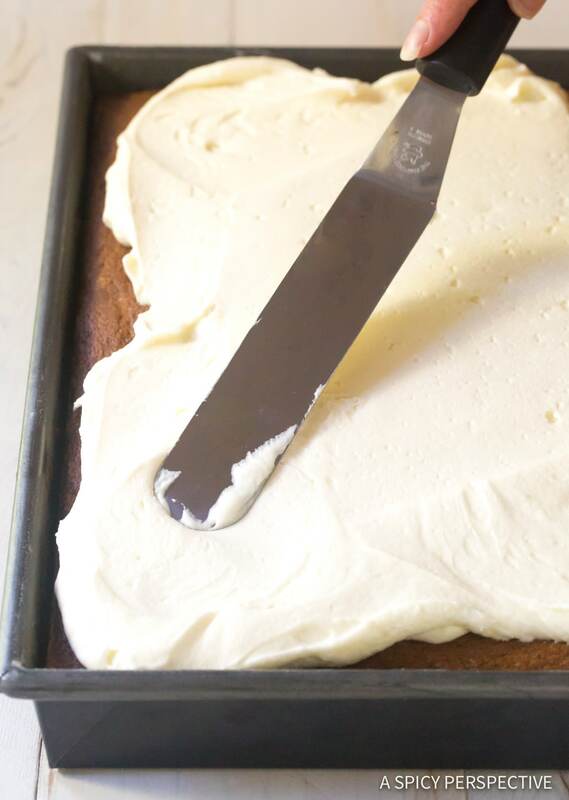 Our Pumpkin Texas Sheet Cake with Buttermilk Frosting is made in an extra large pan to provide 32 good-sized pieces, or 64 mini pieces. So it’s just the thing to bring to big holiday gatherings or work parties. However, if you don’t have this size of pan, and don’t want to buy one, you can reduce the ingredients by 1/3 and if will fit in a 9 X 13 inch baking dish. Try using the Serving Slider in the recipe form below to automatically adjust the recipe to 22 pieces. All purpose flour – When in doubt, go with “All Purpose.” For a gluten free version, try this recipe with 1-to-1 gluten free baking mix! Pumpkin pie spice – This allows you to skip the buying and measuring of multiple spices. However, if you would rather use the spices you already have at home, mix 1 tablespoon ground cinnamon, 1/2 teaspoon ground nutmeg, 1/2 teaspoon ground ginger, 1/2 teaspoon clove or allspice. 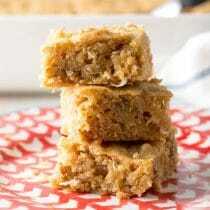 Granulated and light brown sugar – Using two different sugars sweetens and flavors the cake perfectly. Unsalted butter – Always buy unsalted butter for baking. It’s more likely to be fresh and guarantees quality control in the salt department. 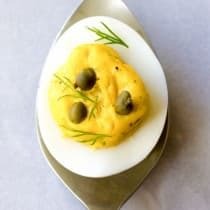 Room temperature eggs – Warm egg mix better into batters. No weird eggy clumps. Pumpkin puree – Make sure not to buy pumpkin pie filling. Look for 100% pure pumpkin in a can! Whole buttermilk – Whole fat buttermilk creates the best possible texture. Baking powder, baking soda, salt, vanilla extract – Necessary items for perfect cake baking. Powdered sugar – For sweet fluffy frosting. 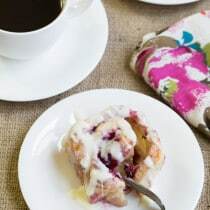 Prep your baking pan – Butter and flour a 15.5 X 10.5 inch deep-sided jelly roll pan. This is often called a XL baking pan or roasting pan. Rub the butter thoroughly all over the bottom and sides of the pan, making sure to get it in the corners. Then shake flour in the pan to coat the butter. Measure your ingredients – Flour should always be sifted for baking. The “cheater” version of sifting is to stir the flour well, inside the bag, to lift and lighten it. Then scoop and level each measuring cup. Finally, mix the flour with the pumpkin pie spice, baking powder, baking soda, and salt. 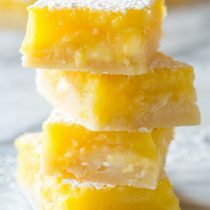 Cream the butter and sugar – Creaming is a baking step in which you beat the butter (or other fat) with the sugar, until the sugar crystals break down and the mixture lightens in color and texture. This is the absolute key to a light fluffy cake texture. However it takes time, so amateur bakers often skip this step to their own demise. If you’ve ever wondered why your cake didn’t turn out like the cake in the photo, most likely you did not cream your butter and sugar long enough. Alternate wet and dry ingredients – Once the butter and sugars are properly creamed, you need to incorporate the ingredients into the batter in a way that optimizes a smooth texture. Alternating the flour mixture with the pumpkin, adding a little at a time, is the best option. You should also do this in other cake recipes, when adding milk or cream. Bake in peace – It’s tempting to open the oven again and again to check your cake. Yet experienced bakers know this is a sure way to cause your cake to collapse while baking. If your cake collapses during the baking process is will not be as light and airy as it should be. Therefore, do not check the cake until it has baked at least 45 minutes. It’s cool to cool – Frosting slathered on a warm cake creates a big fat mess. Be patient and allow you cake to cool completely before frosting. Whip it good – Buttermilk frosting is more moist than traditional butter or cream cheese frosting. Using a whip attachment and allowing it to whip long and well, will create the best overall texture. Slather on the frosting – Once the cake is room temperature, spread the frosting over the top of the cooled pumpkin spice cake. You can then decorate the pumpkin cake with candies, pipe the top with colored frosting, or simply sprinkle a little extra cinnamon over the top for color! 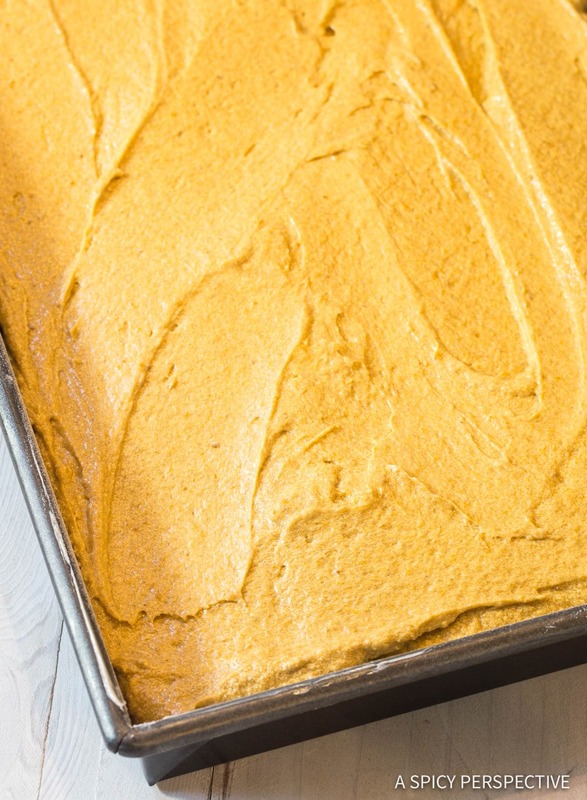 Get The Full Pumpkin Texas Sheet Cake with Buttermilk Frosting Recipe Below! Skip the frosting and spread Nutella chocolate hazelnut spread over the top! 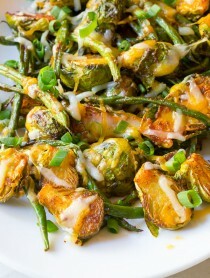 Check out all our Thanksgiving Recipes! 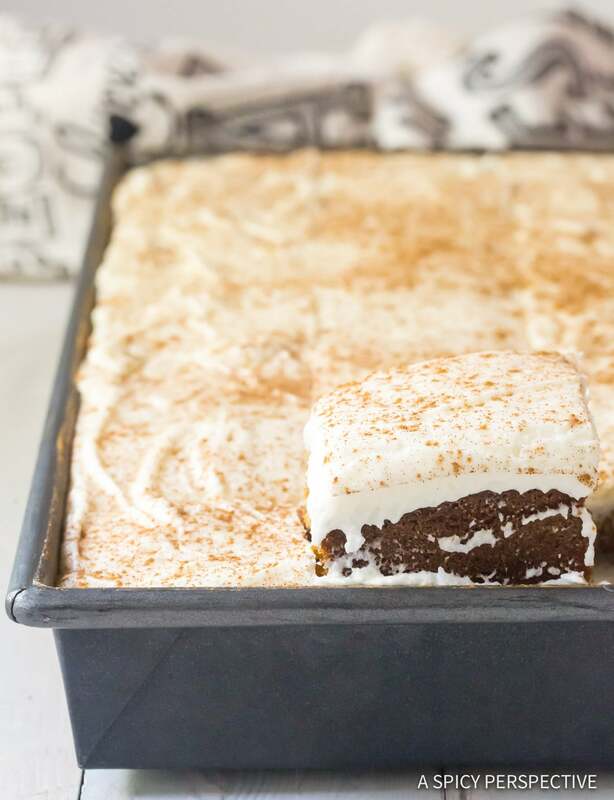 Pumpkin Texas Sheet Cake with Buttermilk Frosting - An ultra moist pumpkin spice cake recipe slathered with tangy-sweet frosting. 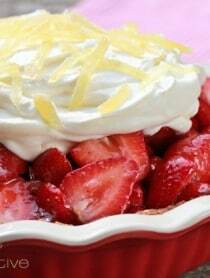 This casual desserts is a must for holiday gatherings! Set out all butter to softened. Crack the eggs into a bowl so they can warm to room temperature. Preheat the oven to 350 degrees F. Butter a large 15 1/2x10 1/2-inch deep-sided jelly roll pan. (This is sometimes called a XL baking pan or roasting pan.) Then sprinkle the pan with flour to coat the bottom and sides. Shake the pan, then dump out the excess flour. Stir the bag of flour well before measuring. 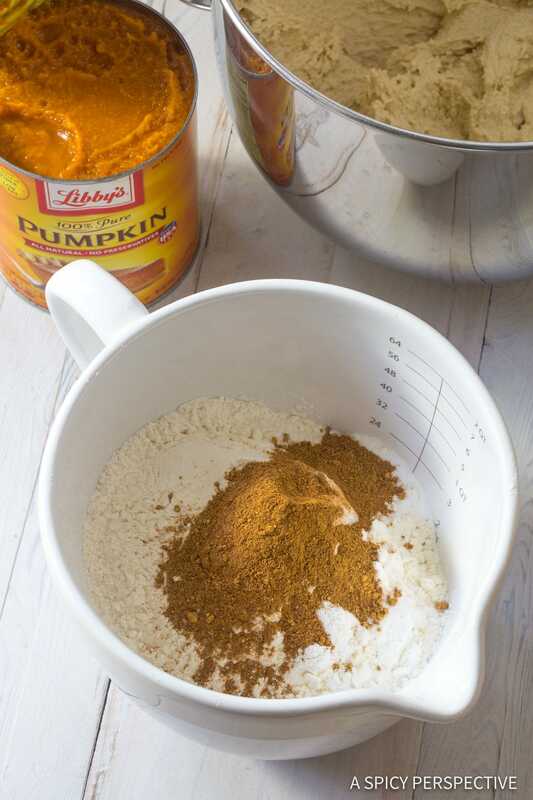 In a medium bowl, mix the flour, pumpkin pie spice, baking powder, baking soda, and salt together. Scrape the bowl with a spatula. Then beat in the eggs one at a time. Scrape the bowl again. Then turn the mixer on low and alternate adding the flour mixture and the pumpkin puree until both are combine. Once the batter is smooth, turn off the mixer. Scoop the batter into the prepared pan and smooth it out evenly. Bake for 45-50 minutes, until the center is puffy and a toothpick inserted into the middle comes out clean. Do not open the oven until the timer goes off. Cool the cake completely before you continue. You can place it in the refrigerator to speed up cooling time. Place the softened butter in the bowl of a stand mixer, with a whip attachment. (Make sure to clean the bowl.) Whip on high until very fluffy and soft. Then turn the mixer on medium-low and mix in the buttermilk, vanilla, and salt. Slowly add the powdered sugar, one cup at a time, until five cups are incorporated. Turn the mixer on high to whip out all the clumps. Once the frosting is light and smooth, check the consistency. If needed, add another 1/2 to 1 cup powdered sugar. Scrape the bowl and whip again until smooth. Spread the frosting over the top of the cooled pumpkin spice cake. Sprinkle with extra pumpkin pie spice or cinnamon. Cut into 32 pieces. Cover until ready to serve. Cake tastes (and feels) best when left at room temperature. This cake can sit out at room temperature for up to 4 or 5 days. To keep longer, cover well and refrigerate for up to 2 weeks. Then allow it to warm to room temperature before serving. 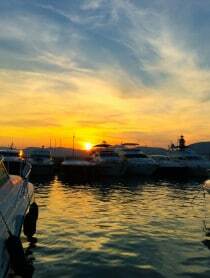 Yes yes yes!!! You just can’t beat a pumpkin dessert like this one! I’ve made chocolate, white, peanut butter, and lime Texas cakes, but never pumpkin. Your version sounds delicious, can’t wait to try it! 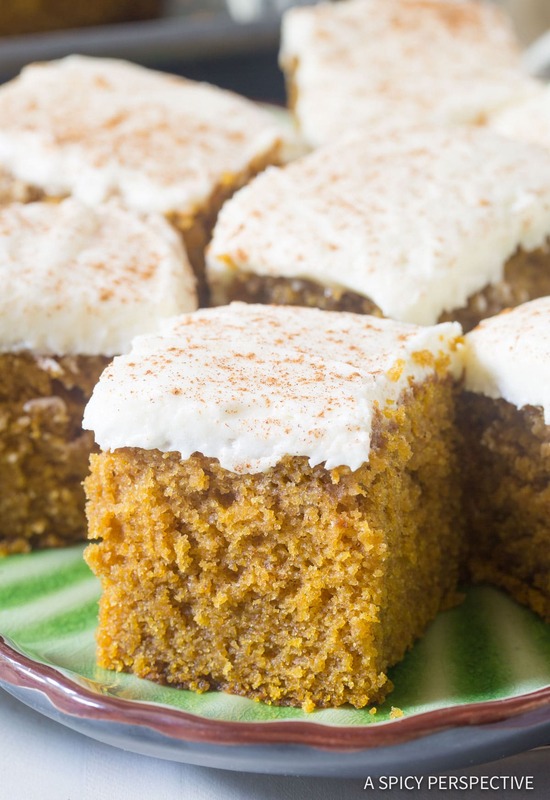 I love Texas Sheet Cake, I love pumpkin – This looks amazing! I am drooling over here! Baking with pumpkin is my all time favorite ingredient! This sheet cake is perfect for Thanksgiving! This is one of our favorite recipes for the holidays. One batch goes a long way!